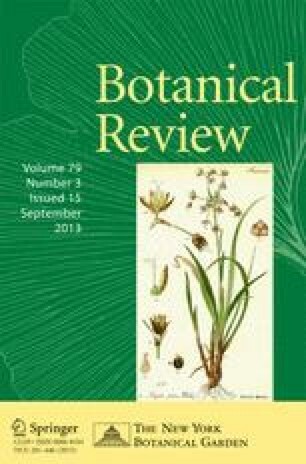 A morphological cladistic analysis is presented of the lilioid order Asparagales, with emphasis on relationships within the “lower” asparagoids, in the context of recent new data on both floral and vegetative structures. The analysis retrieved a monophyletic “lower” asparagoid clade, in contrast to molecular analyses, in which lower asparagoids invariably form a grade. However, limited outgroup sampling in the current analysis is a significant factor in this “inside-out” topology; if the morphological tree is rerooted with Orchidaceae as the outgroup, the result is a topology broadly similar to the molecular one. The relatively low resolution of the “lower” asparagoid clade identified here is a result of high homoplasy in several characters, which could be regarded as iterative evolutionary themes within Asparagales, notably (among floral characters) epigyny and zygomorphy. Close relationships between some family pairs were inferred, including Orchidaceae and Hypoxidaceae, Boryaceae and Blandfordiaceae, Asphodelaceae and Hemerocallidaceae, and Iridaceae and Doryanthaceae. The small South African genusPauridia, which differs from other Hypoxidaceae in that it lacks the outer stamen whorl, was placed as sister to Orchidaceae rather than being embedded in Hypoxidaceae as in molecular analyses, because despite some significant similarities with other Hypoxidaceae (e.g., mucilage canals), it shares some characters with Orchidaceae, notably the presence of a gynostemium and pontoperculate pollen.Xanthorrhoea andLanaria were wild-card taxa in the context of this analysis, with characters in common with more than one different group.